St David founded a monastery, probably close to where the cathedral now stands. The cathedral, built in his name, became one of the most important shrines in the medieval Christian world. In the 12th century, the pope declared that two pilgrimages to St Davids were equivalent to one to Rome. The Bishop’s Palace as you see it today was built mainly in the 1300s. In contrast to the frugal life of St David and his monks, the bishops lived in the grand palace where they feasted and entertained nobles and kings. The structure evokes a period when religion was the order of the day and bishops were powerbrokers par excellence. Bishop Thomas Bek undertook significant new building work on the site but it was Bishop Henry de Gower who was responsible for almost the entire palace we see today. His legacy consists of two great ranges. The east range – the simpler of the two – was the first to be built. This was his private domain. The second, the south range, was much grander and built for stylish entertaining. The great hall, the most impressive chamber in the palace, created the perfect backdrop for banquets. The chapel was said to lie on the spot where David was born, and was dedicated to his mother, Non. 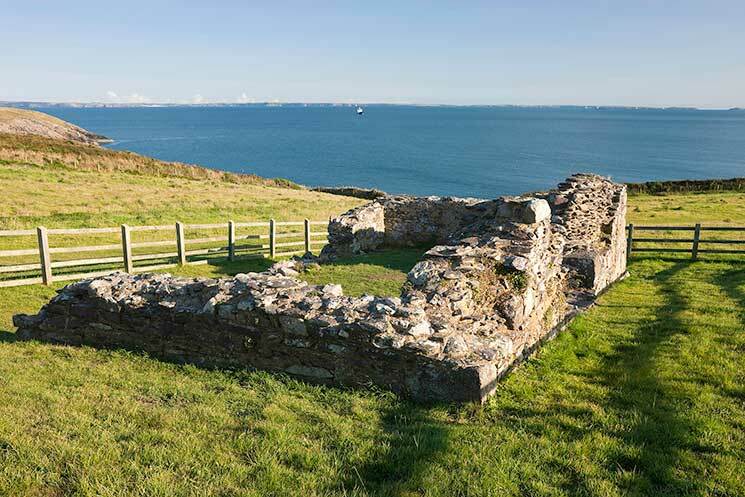 The ruins overlook the dramatic Pembrokeshire coastline. The holy well close to the chapel was said to have healing properties, so visitors often throw in a coin for good luck. 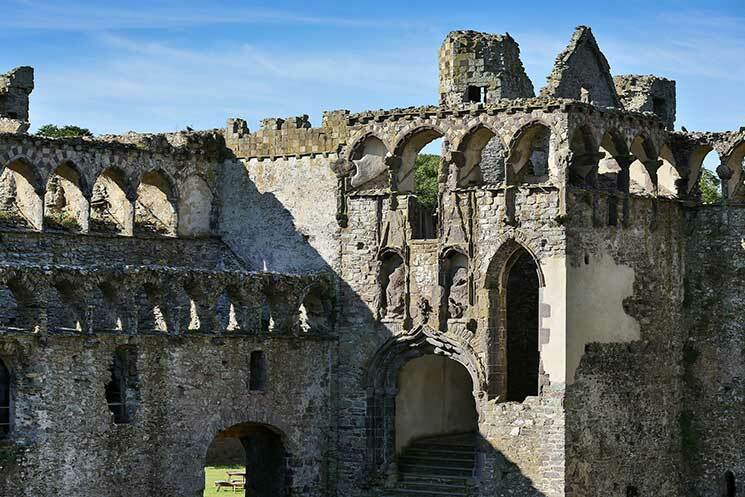 Like St Davids Bishop’s Palace, this was built on a grand and lavish scale by the wealthy medieval church. It was a place where the bishops of St Davids went to ‘get away from it all’, escaping the stresses of church and state life. Llawhaden Castle was built by the bishops of St Davids to show off their great power and wealth. The impressive ruins sit on a hilltop with spectacular views over the surrounding countryside. It was first created as a ringwork in the 12th century and completely rebuilt mainly in the 14th century. Cadw, the Welsh Historic Monuments agency, is offering the opportunity to explore all of its sites free of charge on St David’s Day, 1 March. Find out more here. 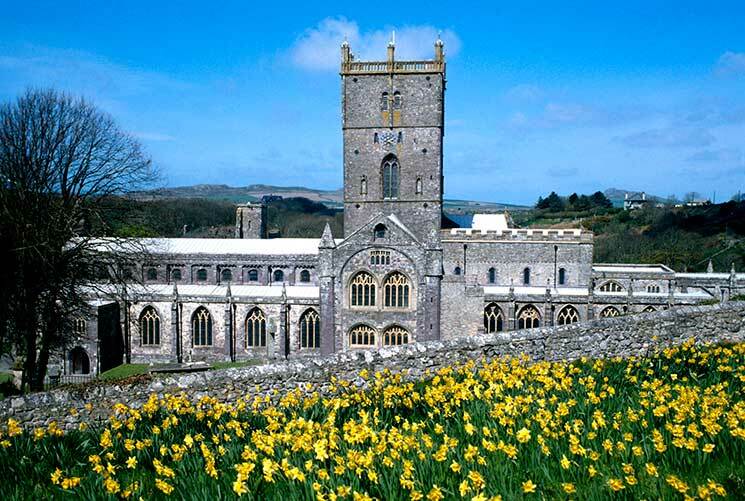 Discover 7 fascinating facts about St David here.